If you have been involved in a vehicle accident that has caused you to suffer a whiplash injury then you may be eligible to claim compensation as long as the accident was not your fault. Whiplash injuries can range right through from mild pain which resolves quickly, to a severe injury that causes chronic problems for many years. A whiplash claims calculator will help us to work out the compensation that you are entitled to and here at Advice.co.uk we will do everything we can to get the maximum compensation for you. Please call us today on 0161 696 9685 to discuss your case and we will explain the ways in which we can help you. Please read on to find out more about the causes of whiplash and the symptoms you should look out for. Let us know when you are ready to start making your claim. What Types Of Accidents Can Cause Whiplash? Whiplash is an unpleasant condition that affects the neck, head and shoulders. It is usually caused by a vehicle accident during which the head is thrown forwards and then backwards, causing twisting and spraining of the muscles and tendons. If this has happened to you as a result of an accident that was not your fault then you may be eligible to claim compensation due to third-party negligence. Advice.co.uk can help you to get advice and provide a solicitor to make this claim. Our friendly team have many years’ experience in dealing with this type of personal injury and will be able to offer to match you a solicitor to secure you the maximum possible compensation. Following an initial consultation where we can establish the facts of your case, we will give you an idea how much compensation you may be able to achieve based on Judicial guidelines rather than a whiplash claims calculator – which wouldn’t give you an accurate sum and may confuse the issue . Don’t suffer in silence, if you have experienced a whiplash injury then you have every right to make a personal injury claim. We don’t advise you to use whiplash injury compensation calculator. We do, however give an estimate of the amount you may expect to receive following a whiplash injury. A solicitor will be able to give you a more accurate figure however after looking at the details of your case. As part of your whiplash claim you will receive compensation for any physical pain and suffering you have experienced. More severe pain over a long period of time will win you a greater amount of compensation then a mild case which resolved quickly. If you experienced emotional and psychological distress following the accident which leads to your whiplash injury then you may also be able to claim general damages for this. If you incurred any out of pocket expenses to cover your medical costs relating to your whiplash injury then you can claim these back as long as you have kept the original receipts. This can include prescription costs. If you have incurred expenses as a result of travel to and from medical appointments or any other appointments directly relating to your whiplash injury then you can claim these back also. If following your whiplash injury you were experiencing too much pain to go back to work then you can make a compensation claim for loss of earnings. This will compensate you for the amount of money you would have been paid had you been able to attend work as normal. Sometimes, following a whiplash injury, you are experiencing such severe pain and limited range of movement that you are unable to carry out daily tasks in your home. If you have required help to complete these tasks then the person who acted as your carer may be able to make a claim for care costs. What Is Whiplash And Whiplash Injuries? In order to successfully get a better idea than a whiplash claims calculator to estimate how much compensation you may be entitled to following an accident which has caused whiplash, you need to fully understand what a whiplash injury is and how it can affect your health. The extent of your injury will help you to calculate your claim for whiplash. A whiplash injury affects the neck and is caused when the ligaments and tendons in this part of your body are stretched and twisted beyond a comfortable range of movement. This type of injury is normally caused by hard braking or a quick movement which jolts the neck and can cause the ligaments and muscles inside to tear. Depending on the severity of the tear, the symptoms you experience will range from mild to debilitating. The most serious cases of whiplash can even result in a permanent disability. Whilst it is possible to suffer whiplash following bicycle incidents, sporting injuries and trips and falls, road traffic accidents are the most common cause. In particular a collision from the rear can cause a significant impact which throws the head backwards and then forwards again, causing the injury. 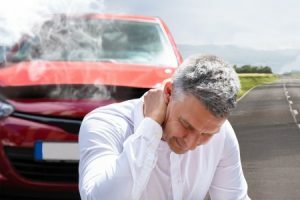 These types of symptoms may suggest that you have suffered a whiplash injury, less commonly you may also experience a tinnitus type ringing in the ear, pain in your shoulders, memory loss and loss in concentration and even insomnia. Sadly, some people suffer whiplash symptoms for many years after the accident has occurred. If you have been involved in an accident and suffered a whiplash injury that was caused by third party negligence then you can make a claim for whiplash. You are eligible to make that claim whether you were a driver or a passenger in the car. If you were a passenger, not only could you make a claim against a driver in a different car, you may also be able to claim against the driver of the vehicle within which you were travelling. Examples of situations in which you could make a claim against the driver of your vehicle include the vehicle not being properly insured or the driver not being fully licensed. As a passenger, you could not have caused the accident as you were not in control of either of the vehicles and so it is actually easier to prove a claim. The amount that you can claim as a driver or a passenger will depend on the severity of your injuries based on the whiplash payout scale. This can – although not accurately – be worked out using a whiplash claims calculator. You can of course also claim for a whiplash injury if you are a cyclist, pedestrian or travelling on public transport and were injured due to somebody else’s negligence. As long as the whiplash occurred through no fault of your own then you have a claim that Advice.co.uk can offer advice with. We want you to fully understand the process of making a whiplash claim before you make your decision. Therefore, we have put together a list of FAQs. Do I need legal representation to make a claim for a whiplash injury? Whilst there is no legal requirement to have a solicitor representing you, we strongly recommend that you seek an experienced personal injury lawyer to help you assemble a strong case that will increase your chances of success in winning the compensation you deserve. The law is complex and you will benefit from the experience and expertise of a personal injury solicitor. My whiplash injury is not severe, can I still claim? You can make a claim no matter how severe your injuries are. Even a mild whiplash injury can be compensated as long as the injury was caused by third party negligence. All we need is confirmation from a doctor that you have suffered whiplash. A mild whiplash injury may yield a lower payout than a more severe injury but we can help you to work out what you might be owed without a marketing based whiplash injury claims calculator. How long does it take to get compensation for whiplash? It is hard to give an accurate estimate of how long your claim will take. Every case is different and is often reliant on the speed of the insurance company. A straightforward case will be quicker than one which is more complex. Our experienced team will be able to give you a better idea of a timeframe once they have discussed the specific details of your case. There is no fixed compensation payout for a whiplash claim. A whiplash compensation calculator can give you an idea of what you can expect but will not be very accurate. It will depend on the severity of your injuries and the impact that the injuries have had on your quality of life. If I take advice from a personal injury solicitor, do I have to hire them? You are under no obligation to hire a solicitor that you receive advice from. It is important to utilise the free consultation to decide if this solicitor is right for you. It may be helpful to get more than one opinion. Will I need to pay a fee before my case begins? For a personal injury claim, in the majority of cases if a solicitor believes that you have a strong enough case you will be offered a CFA, which is also called no win, no fee contract. This sets out the conditions that you are not expected to pay anything upfront and do not owe a fee until you have successfully won your case and received your compensation. Accidents that occur across a variety of vehicles can cause whiplash. Car accidents are by far the most common cause of whiplash injuries both for the driver and for any passengers. In a car accident you will be claiming against a private driver if your injury was their fault. Whilst less common, it is still possible to suffer a whiplash injury as a result of a motorcycle accident. The same rules apply however and if a third party was responsible for the injury then you have a claim. Bicycle accidents rarely result in whiplash injuries but it is not unheard of and if you are a cyclist who suffered whiplash due to an accident that was not your fault then you can claim for whiplash compensation. If you suffered whiplash whilst travelling on a bus, then you may be able to make a claim from the bus operator and the same rules would apply in a taxi accident. If you were a passenger in a taxi and suffered whiplash following an accident then you could make a claim against the driver or operator. As a pedestrian you are one of the most vulnerable road users and whiplash occurs in many accidents involving pedestrians. If you were hit by a moving vehicle then you are likely to be successful in making a whiplash compensation claim. This list is not exhaustive and if you have suffered whiplash by some other means then please speak to our knowledgeable team who will be able to advise you whether or not you are eligible to make a whiplash compensation claim. Symptoms of whiplash usually appear within 6 to 12 hours of an accident happening, but it can take a few days. Have a look at this checklist to see whether you may have suffered whiplash. If you answer yes to most of them, we recommend that you seek medical attention as soon as possible. Do you have pain and stiffness in your neck? Does your neck hurt more when you try to move it? Do you feel like you need to hold it as still as possible? Do you find it impossible to move your neck in its full range of movement as a result of the pain and stiffness? Are you experiencing headaches, particularly at the base of your skull? Do you feel tension and pain in your shoulders and at the top of your back? There is no definitive answer to the question of how long it takes to recover from whiplash. Each case is different and dependent on a number of things. Mild whiplash may ease after just a few days whilst a more severe case can last for years, particularly if the shoulders, back and spine are affected. On average however, a moderate case of whiplash usually lasts for around 6 weeks. As a passenger you are entitled to claim for whiplash, it is often, in fact, easier to claim for whiplash as a passenger than it is for a driver. As a passenger you were injured through no fault of your own as you were not in control of a vehicle. You can potentially claim against the driver of the other vehicle for causing the accident as well as the driver of the vehicle you were travelling in. Our experts at Advice.co.uk will be able to explain more about your rights and eligibility to claim. If you have suffered a whiplash injury following an accident that was not your fault then you have every right to make a claim for whiplash. We strongly suggest that you see a doctor as soon as possible if you suspect that you have suffered whiplash, having this diagnosis on your medical record will make it easier to make a claim. You should then contact a personal injury lawyer who can begin to gather evidence. Here at Advice.co.uk we will offer you a free initial consultation to discuss the details of your case and will be able to offer you the best advice as to whether or not you should proceed to the stage of finding a personal injury lawyer. If you decide to move forward then we can connect you with one that will take on your case on a no win, no fee basis which means that there are no upfront fees. We will handle matching you with a solicitor on your behalf, meaning a stress-free claims process for you. No win, no fee is a great way of removing the financial burden that clients often fear when entering into a legal case. In a no win no fee agreement, there are no hidden fees and no upfront payments. The legal representative handles your case and if you are successful, their fee is payable once you have received your compensation. This means that there is no requirement on our clients to find money prior to the launch of their case. It also means that you can feel confident that we believe your case will be successful if we advise you so. Choosing representation for a personal injury claim can feel overwhelming as there are so many choices out there. We feel confident that if you choose Advice.co.uk for information on this type of claim, you will not regret your decision. We have a highly experienced team of experts who are ready and waiting to handle your case. Following a free consultation where you can get to know us a little better, we will connect you with a solicitor if you wish to handle the case on your behalf meaning minimum stress for you and maximum compensation. We place client care at the heart of our business and take the time to ensure that your experience with us is a positive one. We understand that you may be going through a difficult time following your injury so we seek to shoulder the burden of finding great representation for you and giving advice. Advice.co.uk are personal injury specialists who help clients across Great Britain find solicitors working on a no win, no fee basis. When you are ready to launch your claim, or if you need advice, please contact us so that we can help you. Our number is 0161 696 9685 or feel free to contact us via our website and we will get back to you when it is convenient.